PARSONS, ALEXANDER A., printer, newspaper publisher and editor, politician, office holder, and author; b. probably 1847 in Harbour Grace, Nfld, son of Ambrose Parsons and Amelia Parsons; m. first there 26 Aug. 1871 Maria Raven Thompson (d. 17 Jan. 1925), and they had three sons and a daughter, painter and writer Gertrude Isabella*; m. secondly 21 Aug. 1926 Lillian R. Ellis in Petty Harbour (Petty Harbour–Maddox Cove), Nfld; d. 2 April 1932 in St John’s. 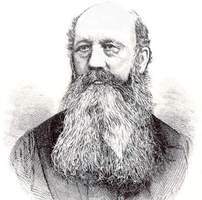 Alexander A. Parsons was the son of a pioneering planter who built his own vessels for prosecuting the cod and seal fisheries. The young lad was among the few local boys educated at the Harbour Grace Grammar School, where the principal, John Irving Roddick, was widely known for turning out literary scholars. At the age of 13 Parsons began an apprenticeship with William Squarey at the weekly Standard and Conception-Bay Advertiser (later known as the Harbour Grace Standard). In 1872, together with his employer’s son William Rydall Squarey, Parsons launched the Star and Conception Bay Semi-weekly Advertiser (Harbour Grace), which ceased publication a year and a half later. He made his first venture into electoral politics in 1873 as an anti-confederate candidate for Harbour Grace, supporting Premier Charles James Fox Bennett*, but did not win a seat. Parsons then worked for newspapers in Boston and New York. He returned to Newfoundland around the time that William James Herder, a printer at the St John’s Courier, purchased the equipment of this financially troubled weekly [see Joseph Woods*]. 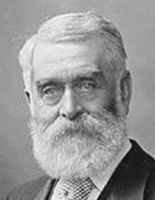 In the early 1880s Premier Sir William Vallance Whiteway* won the support of most Liberals and Conservatives for construction of a railway across the island. The Telegram, however, opposed the project, as did the colony’s major fish merchants, who were concerned about concessions to developers and the burden of debt that the railway would impose. In the debate Parsons competed with a fresh rival, the Evening Mercury (St John’s), originally edited by Moses Harvey*, which he said had been “warmed into life” by Whiteway for the sole purpose of advancing the premier’s agenda. Political upheaval saw Whiteway resign in 1885, new alignments emerge, and the Mercury support Robert Thorburn*’s Reformers. In 1888 Parsons, apparently dissatisfied with his failure to obtain lucrative government printing contracts, made an about-turn. He accepted an invitation from Whiteway to discuss the formation of an opposition party. 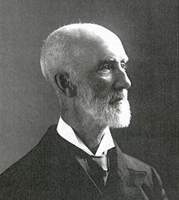 The minutes of the meeting, which took place in the former premier’s home, record that Parsons “kindly offered to place his paper at the disposal of the [Whitewayite] party.” He later confirmed his willingness to do so, “provided that when the Party came to power his paper would receive such patronage as the Party could legitimately bestow.” Whiteway and Robert Bond*, the member for Trinity Bay, would “supervise the editorial matter” until a committee was appointed to do so. Parsons’s editorials were described by contemporaries as “pugnacious.” But a profile in the Newfoundland Quarterly (St John’s) in 1906 suggests that “he often had to shoulder the blame and responsibility for many utterances for which he was not responsible,” and his commitment to Whiteway and Bond supports this argument. Parsons ran for re-election in 1897, but was defeated, along with the Whiteway government. He had always protected his sources, and in 1898 he and Herder were charged with contempt when they refused to identify the author of a letter to the newspaper which suggested that officials of the circuit court were using the government vessel Fiona in ways that made it “little better than” a brothel. The two were sentenced to 30 days in jail, but a petition circulated in defence of press freedom secured Governor Sir Herbert Harley Murray*’s clemency, and they were released after serving 9 days. 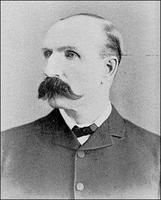 Parsons regained the St Barbe seat in the 1900 general election, in which Bond, now the Liberal leader, won a decisive victory. 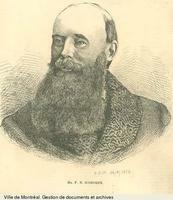 He served as clerk of the assembly during Bond’s term as premier. In 1904 he retired from politics and the editorship of the Telegram to become superintendent of the Newfoundland penitentiary, a position he would hold until 1926 (he was succeeded at the Telegram by William Frederick Lloyd). In the words of the Newfoundland Quarterly, Parsons was “humane in the extreme” towards the convicts in his charge. Confident that “our Styles and Quality surpass any that can be imported,” he solicited the patronage of the local trade for the brooms, hearth brushes, and whisks produced at the institution [see John Roche McCowen*]. He also allowed inmates to be engaged as groundskeepers at Government House. On one occasion, when Governor Sir Charles Cavendish Boyle* hosted a luncheon for the warden and his prisoners, Parsons said that he had no objection to their attending, “provided they are not permitted to toast His Excellency too often.” A proponent of prison reform, he conceded that hardened criminals might need permanent internment, but saw little merit in imprisonment as a deterrent. Delays in the court process and severe punishment, he suggested, tended to confirm antisocial behaviour and breed hatred for the law. After he left the penitentiary, Parsons continued to explore these ideas in articles he wrote for the Newfoundland Quarterly. His numerous contributions, sometimes rambling and repetitive and often sprinkled with lines from Tennyson and other favourite poets, include biographical sketches of political leaders and colonial governors whom he had known and individuals with whom he socialized or sparred editorially. Some pieces criticized contemporary journalists, suggesting that they lacked “deep conviction,” while others contended that the government was being run by people drawn from only a small segment of the population and needed sweeping reform. Parsons was an ardent Methodist, and his Christmas stories describe religious celebrations that united all people, regardless of creed. As a boy, he had witnessed sectarian violence in the streets of Harbour Grace, but he also recalled happier times when Christmas mummers went door to door in disguise. In the 1860s the town’s merchant princes had brought back “good, honest and unadulterated rum” that caused no “headache in the morning,” but Parsons, although a moderate temperance advocate, deplored the fact that by 1909 alcohol had become a prime source of government revenue and was “taxed beyond the planter’s reach.” He wrote exuberantly about Newfoundland’s tourist attractions, sometimes including his own adventures while fishing for trout in the “ponds on the Heart’s Content and New Harbor barrens” or the “great rivers in Bonne Bay, Bay of Islands and White Bay.” His tales of camping with his old friend Squarey are replete with intimate moments engaged in fly-tying and dressing the fish to the “King’s taste” and browning them on an open fire. During his lifetime Alex Parsons had witnessed the landing of the transatlantic cable at Heart’s Content in 1866 [see Frederic Newton Gisborne*], the completion by Robert Gillespie Reid* and his sons of a trans-island railway in 1898, Guglielmo Marconi’s reception of the first wireless message at Signal Hill in 1902, and the deployment by the government of Sir Edward Patrick Morris of the Newfoundland Regiment for service overseas in 1914. He had dined with royalty at the governor’s table and strolled with premiers. He wrote about these events, but he was at heart a simple, self-effacing man attuned to the natural beauty and customs of his country. As a journalist and newspaper editor, he displayed an acute civic awareness; as a politician, he helped make the rules for an emerging society. In addition to his work at the Evening Telegram (St John’s), Alexander A. Parsons is the author of more than 50 articles in the Newfoundland Quarterly (St John’s), the Cadet (St John’s), the Veteran (St John’s), and the Newfoundland Magazine (St John’s). These can be identified online through Memorial Univ. Libraries, “Periodical article bibliography”: capelin.library.mun.ca/v/pab (consulted 3 December 2018). Issues of the Newfoundland Quarterly and the Veteran have been digitized through the Memorial Univ. of Nfld, “Digital archives initiative”: collections.mun.ca/index.php (consulted 1 May 2014). Memorial Univ. of Nfld, Queen Elizabeth II Library, Arch. and Special Coll. (St John’s), coll-237. Daily News, 5 April 1932. Evening Herald (St John’s), 10, 11, 12, 19 Oct. 1898. Evening Telegram, 2 May 1882; 19 Sept. 1889; 21 Oct., 2 Nov. 1893; 1 Sept., November 1897; 25 April 1904; 2, 4 April 1932. Harbour Grace Standard (Harbour Grace, Nfld), 1 Nov. 1873, 14 June 1879, 29 April 1904. Sentinel and Conception Bay Advertiser (Carbonear, Nfld), 12 Jan. 1837. “Alexander A. Parsons, esq., j.p., superintendent Newfoundland penitentiary,” Newfoundland Quarterly, 5 (1905–6), no.4: 19. Hist. directory of Nfld and Labrador newspapers. The Telegram, “The history of the Telegram”: www.facebook.com/note.php?note_id=83483021235 (consulted 1 May 2014). Maudie Whelan, “The newspaper press in nineteenth-century Newfoundland: politics, religion, and personal journalism” (phd thesis, Memorial Univ. of Nfld, 2002). Maudie Whelan, “PARSONS, ALEXANDER A.,” in Dictionary of Canadian Biography, vol. 16, University of Toronto/Université Laval, 2003–, accessed April 22, 2019, http://www.biographi.ca/en/bio/parsons_alexander_a_16E.html. Title of Article: PARSONS, ALEXANDER A.